The benefits you receive from efile4Biz are significant. For instance, we automatically notify you when your forms are accepted by government agencies. Your data is stored for use year after year so you don’t have to reenter employee and contractor information. And we give you full access to your filed forms for at least four years so you can access and print copies whenever you like. That’s pretty great, right? But there’s one feature that blows all the others away: Security. After all, there’s nothing more important than keeping your confidential data … well … confidential. As an industry leader and pioneer in online 1099, W-2 and ACA form processing, we employ the latest, most sophisticated security measures. The result is a level of data protection that would thwart even the most determined cyber criminals. So what are the factors that make our service so secure — and set us apart from competitors? 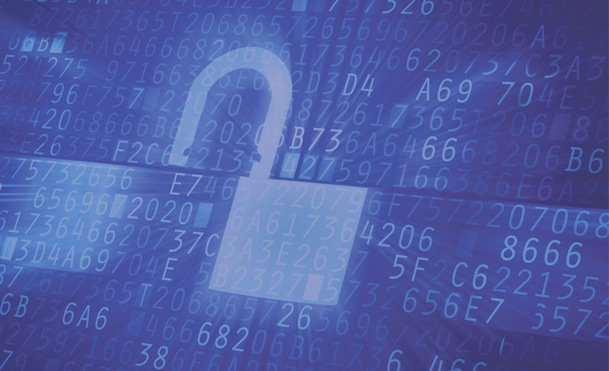 Data Encryption: A leading IRS-authorized e-file provider, we use the strongest encryption program available to block the interception or interruption of information by a third party. Data is encrypted as soon as it’s entered on the site, and it stays encrypted throughout the entire print, mail and e-file process. SOC Certification: Our facility has achieved SOC-II Certification from the American Institute of Certified Public Accountants. This means that every step of our process has been thoroughly examined and approved to guarantee the security of sensitive tax information. It’s a critical feature and a huge differentiator from our competitors. We invested the time and money to achieve this special certification because we take data security as seriously as you do. HIPAA Compliance: With the onset of the new ACA reporting forms, we took the necessary precautions to protect sensitive health information on the same level we safeguard confidential tax data. As a result, our print-and-mail facility complies with all the latest HIPAA security regulations required by law. In today’s digitally focused world, the threat of data breaches and identity theft is ever present. That’s why we’ve taken exacting measures to ensure your data is secure every step of the way ... from the time you enter it on our website … to the time the form is filed with the IRS … to when the copy is mailed to your recipients. Print, mail and electronically file your essential business tax forms with ease and confidence in no time at all. Now you can process and file 1099 and W-2 Corrections quickly and easily on efile4Biz.com — even if you didn't file the original form with us.